Maps series of six high quality maritime provinces and cartographic detail, designed by the military engineer José Espelius, by the authorities of the Navy (1748-1761) to ensure the supply of wood for shipbuilding, for it is making a forest inventory indicating the number of trees per species, status (new, grown old), including a record of vessels and the state of available personnel for the Navy. In this image represents Andalusia from Ayamonte to Cabo de Cata, with the provinces of marina: Ayamonte, Sevilla, Segura, San Lucar, Málaga, Motril and Almería. 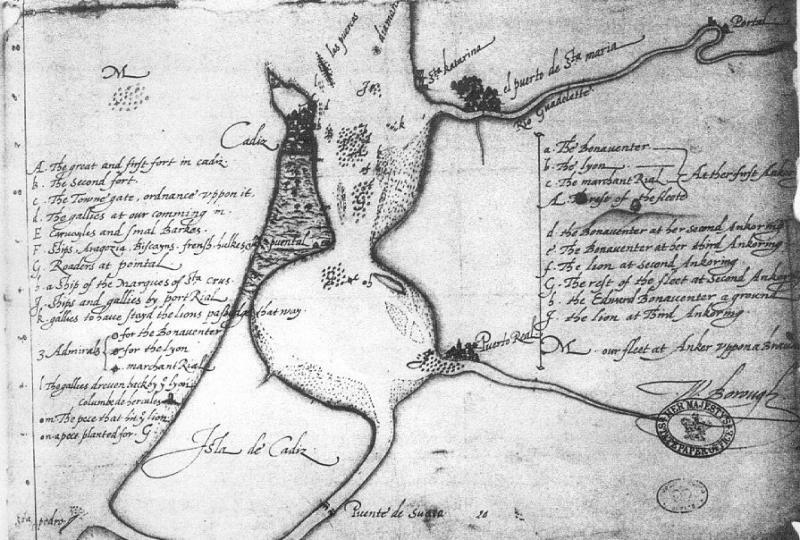 Drake's map of his attack on Cádiz (1587): Attack in April and May 1587 in the Bay of Cádiz, by the English privateer Francis Drake against the Spanish naval forces assembling at Cádiz. Much of the Spanish fleet was destroyed, and substantial supplies were destroyed or captured. There followed a series of raiding parties against several forts along the Portuguese coast. A Spanish treasure ship, returning from the Indies, was also captured. The damage caused by the English delayed Spanish plans to invade England by more than a year, yet did not dispel them. The Dutch were not only active traders in Asia but also in North and South-Americ. There the trade was coordinated by the West-Indian Company which was founded in 1621. Thanks to accurate maps the Company succeeded in starting trade in this wide-spread area. Many of those maps were managed by Willem Jansz. Blaeu (1571-1638) who was, besides publisher, also the official map maker of the West Idian Company. 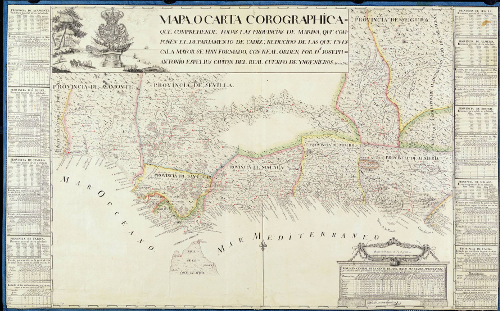 However, Blaeu was not allowed to include these maps in his atlases for publication. 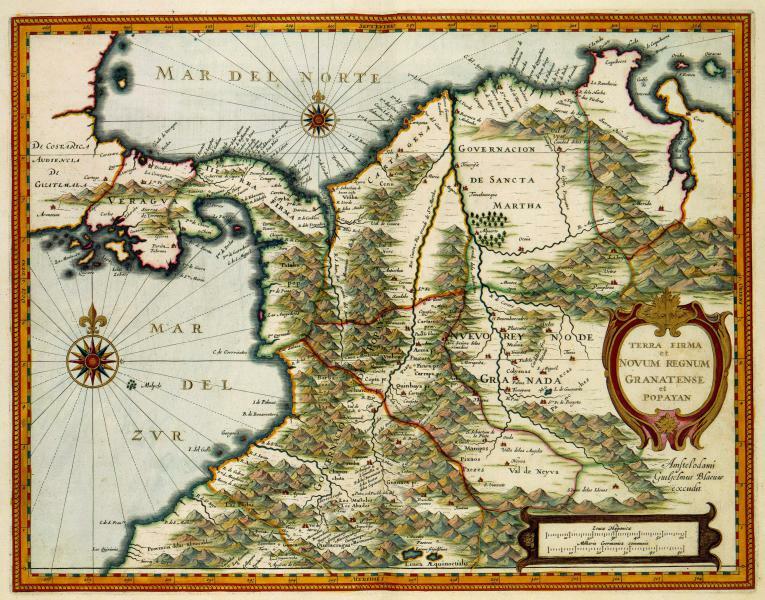 For this map of Colombia and Panama, Blaeu used information from the "Beschrijvinghe van West-Indien", a famous book by Joannes de Laet (1583-1649) published in 1625. 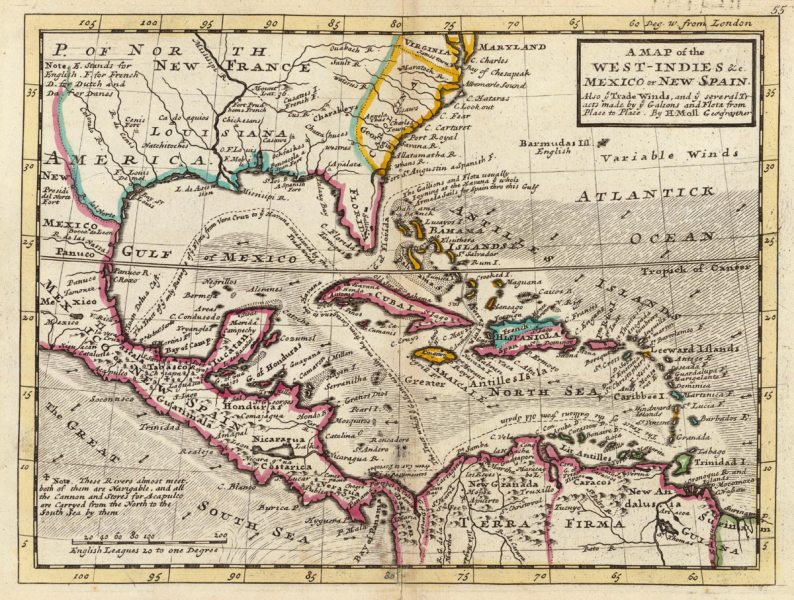 Author: Herman Moll: A Map of the West-Indies. Date: 1732 Location: Caribbean Area, Mexico, West Indies Dimension 19x26cm Scale: [1:18,000,000] Call Number: G4900 1732 .M65. map.blp.org.